Recruitment marketing automation software that helps companies engage with candidates across the web, jumpstarting their employer brands and boosting brand gravity in the process. Advertise across the web and engage with candidates where they spend time. Easily generate stylish, conversion-centric career sites and landing pages. Less time on repetitive tasks. More time for disruptive strategies. Delight your ideal candidates with SmartDreamers Engage social media content management tool. Better understand your employer branding with data driven insights. The perfect fit for your recruitment software ecosystem. 50% of Instagram users follow at least one brand, and even more say that they’ve learned about a product or service via Instagram. That’s 50% of 800 million monthly active users, spread across all corners of the globe (80% of the platform’s users are outside the United States). These numbers should give you a sense of the often-untapped power of this unique social media network for attracting and engaging with customer or—for recruitment marketers—job candidates. The question, however, remains: how can businesses leverage this platform to spread their employer brand and drive up job applications? Here are six tips for doing just that. We think of Instagram as being primarily a place for images, but nowadays the platform also gives users the ability to upload videos, “stories” (successions of posts that vanish after 24 hours), boomerangs (looping 3-second videos), and hyperlapses (in which longer videos are condensed to Instagram-friendly lengths via time-lapse). Businesses can certainly be successful using nothing but images, but it’s nice to know that there’s a whole arsenal of different media at your disposal—each one presenting you with different possibilities for conveying your employer brand narrative. Images might be a great way to showcase the stories of your individual employees, but the occasional video might give you the chance to show your whole team at work, discussing what motivates the people at your company. 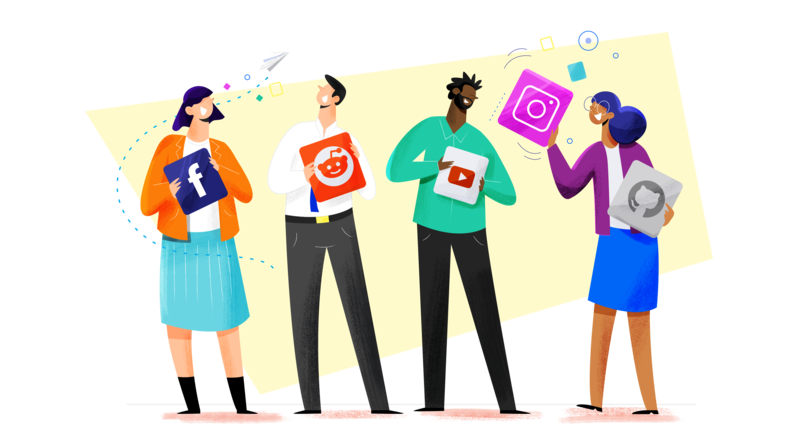 By utilizing a variety of different post types, you can appeal to a larger variety of users and keep your target personas from getting bored and tuning you out. At this point, Instagram doesn’t have a robust analytics platform on the level of Google AdWords or even Facebook. In spite of this fact, they do have an impressive set of options for advertisers—owing to the fact that their advertisements are run through Facebook (which bought Instagram a few years ago). Advertising can be an extremely important piece of your overall Instagram strategy, and you have a lot of options at your disposal for using Instagram ads. In particular, we recommend using “remarketing” campaigns, which let you show your ads only to users who have already interacted with your brand online. By doing so, you can make sure that you’re reaching the right audience with content targeted specifically to those users who already have some awareness of your employer brand. These users might be more overt in their interest in your business, and might be more receptive to a call-to-action encouraging them to apply for a specific job. Hashtags have become a little bit of a punchline on some corners of the internet, but on Instagram they can still be an important part of a well-rounded content strategy. Don’t be too spammy, but use one to four relevant hashtags per post (either in your caption or the comments) to help users interested in, say, product design or web architecture to find your posts. Hashtags, however, are not the only kind of tag supported on Instagram! You can also geotag your posts with a particular location—and you really should: studies show that geotagged posts get an average of around 80% more engagement. If you’re a global business, this functionality might be a good way to highlight your different offices around the world or show off the global scope of your operations. We alluded to this strategy a few paragraphs above, but it bears some explication. Fundamentally, your goal as a recruiter on Instagram is to answer the following questions for your target personas: why should I take a job with your company, and what will my life be like if I do? The best way to answer both of these is questions is by highlighting your team (rather than your products or your leadership). By showing potential new recruits what inspires, motivates, delights, and drives your employees you take your EVP (i.e. the answer to the first part of the question above) out of the realm of the abstract and put it into terms that will resonate emotionally with your target personas. If you’re a small start-up, for instance, you might show your team members collaborating on a project or socializing after work. This way, you bring elements of your EVP (in this case a collaborative environment in which teammates respect each other and like spending time together) to life in a way your target personas can engage with. It’s like the old adage says: show, don’t tell! Notably, the only big difference between regular Instagram posts and paid Instagram ads is that advertisements contain prominent calls-to-action. Typically, your ad’s CTA will be tailored to your audience, i.e. passive job seekers might be encouraged to enter your recruitment funnel in a relatively non-committal way, like an eBook download; while an audience of active job seekers might be directly encouraged to apply for a position at your company. But these aren’t the only places where you can and should incorporate calls-to-action. Sure, they won’t be as prominent, but the bio on your corporate page and your image captions should all incite your viewers to some kind of action, whether it’s simply liking and sharing a post or following a link to one of your career landing pages. Instagram doesn’t give you a ton of real-estate for driving traffic to your site, so this attention to conversion-potential is key to maximizing the impact of your efforts. Last but not least. We’ve spoken up to this point about some reasonably granular best practices that pertain to Instagram as a platform, but at the end of the day it’s really an exciting venue for marketers who want to get creative and have a little fun. Think you target personas would appreciate a boomerang of your coworker’s sweet ping pong serve? Post it! Does your EVP promise the chance to work on hard technical problems? Post some riddles or brain-teasers! Most users come to Instagram hoping for authenticity and the occasional inside-look into someone’s (or some company’s) life. If you keep your content fun, creative, and spontaneous, you can show users the kind of authenticity they’re looking for, driving up engagement and turning passive job seekers into new applicants in the process. Let’s face it: when we think about the job of crafting a company’s public image, we mostly think of traditional marketing aimed at potential customers (and, to an extent, shareholders). What we often fail to think about, on the other hand, is recruitment marketing. No business can succeed without the right people, and competition for top talent is fiercer than ever in many industries—but, in spite of this fact, recruitment marketing often remains an afterthought, playing second fiddle to traditional marketing in terms of resources and perceived value. Employer Brand vs. EVP: What's the Difference? Reach more, better candidates, faster. SmartDreamers combines creative job marketing automation with outstanding customer service to help companies attract candidates faster and more efficiently.